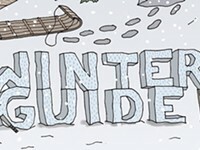 Can't-miss events taking place this winter. If you're already tired of staying inside this winter, City is here to help with a selection of 15 can't-miss events from the first quarter of 2015. Did we miss something especially exciting on your personal calendar? Add it to the comments section of this article at rochestercitynewspaper.com. ART | "In Glorious Technicolor"
A three-color camera, part of the "In Glorious Technicolor" exhibit at the George Eastman House. Think for a second what movies would be like if color never came to movies, and we were stuck with watching everything in black and white. Almost brings a tear to your eye, doesn't it? Getting color into film wasn't always smooth sailing, though. Before "The Wizard of Oz" there were many attempts that did not come out with the same aesthetically pleasing result. 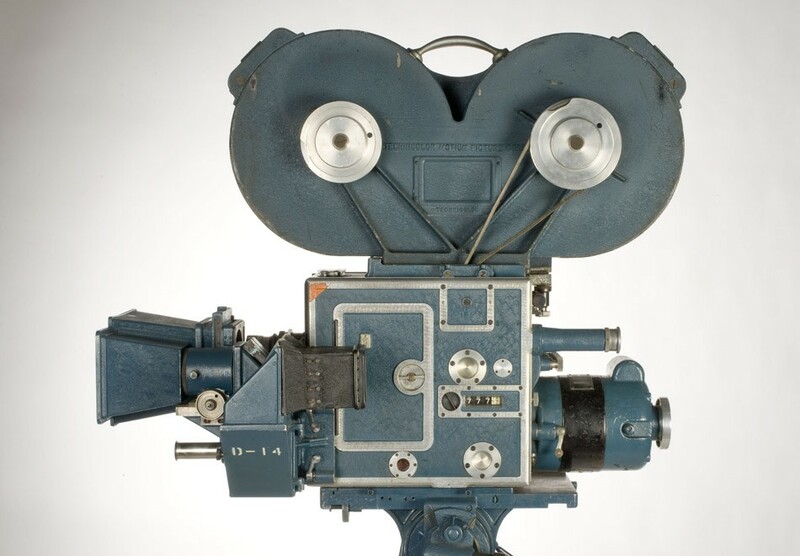 Take a look into the history of the Technicolor Motion Picture Corporation with George Eastman House's "In Glorious Technicolor" exhibition. See the company's beginning from a small Boston-based research team to making it big and making famed flicks like "Gone With the Wind" more vibrant. "In Glorious Technicolor" runs from Saturday, January 24, through Sunday, April 26, in the Special Exhibition Galleries at the George Eastman House, 900 East Avenue. Check out Eastmanhouse.org for information on hours and pricing. Lisa Densmore, a former member of the U.S. Women's Ski Team, will hold a women's only instructional course to help you take your ski game to the next level. This is far from the typical ski instructor advice of "If you French fry when you're supposed to pizza, you're gonna have a bad time." Aside from the professional instruction, attendees will also get a continental breakfast, lunch, a private autograph session with Lisa, receive some goodies, and have a chance to win prizes. Just be sure to reserve early, as limited spots are available. Lisa Densmore will host a ski class on Tuesday, January 29, at Bristol Mountain, 5662 Route 64, Canandaigua. $129. Call 374-6000 for more information. 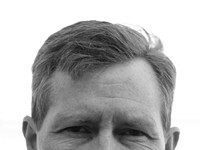 bristolmountain.com. 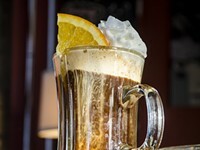 Seneca Park Zoo's summer ZooBrews are a long ways off, but there's a special winter themed one — appropriately titled ZooBrrrew — that should tide you over until warmer weather is here. Sure it's cold out, but that's what alcohol, fire pits and s'mores are for. Of course there are other food and drink to have if those aren't your favorites, and don't forget about the animals. 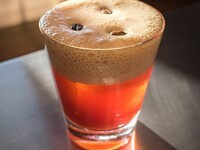 Maybe the best part is the fact a free ticket to a summer ZooBrew is included for paid attendants. 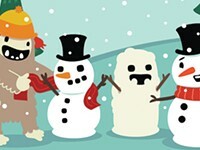 Kick old man winter in the shin and have a blast with friends, animals, and lots of tasty fixings. ZooBrrrew takes place on Friday, February 6 at Seneca Park Zoo, 2222 St. Paul Street. 5 p.m. to 8:30 p.m. Tickets are $30 for members and $35 for non-members. This event is 21 and older only. Senecaparkzoo.org. Put on the spiffiest duds you own, dance, eat, drink and enter to win some seriously rad prizes at The Gay Alliance's Red Ball 2015, "Puttin' on the Glitz." You don't have to belong to the LBGTQ community to have a merry time at this event. Last year's ball saw prizes in the raffle donated from local companies like Black & Blue Steak & Crab, Cheesy Eddie's, and Geva Theatre Center. 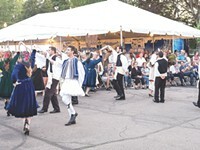 The party will also see a best-dressed contest, live DJ music, and a cash bar. On top of everything else, it's a fundraising event, so you can feel good knowing you made a donation on your way to having a fun night. The Gay Alliance Red Ball 2015 will be held on Saturday, February 7, at The Diplomat Banquet Center, 1956 Lyell Avenue. 7 p.m. to 11 p.m. $20 in advance or $30 at the door. gayalliance.org. The 15th annual Polar Bear Plunge will take place February 8. If you're brave, crazy, or bored, you can use whichever as a reason to contribute to a great cause by participating in a fund raising polar plunge. Of course, if you're bored and have no intention of hopping in freezing water, you can always make an ice sculpture. 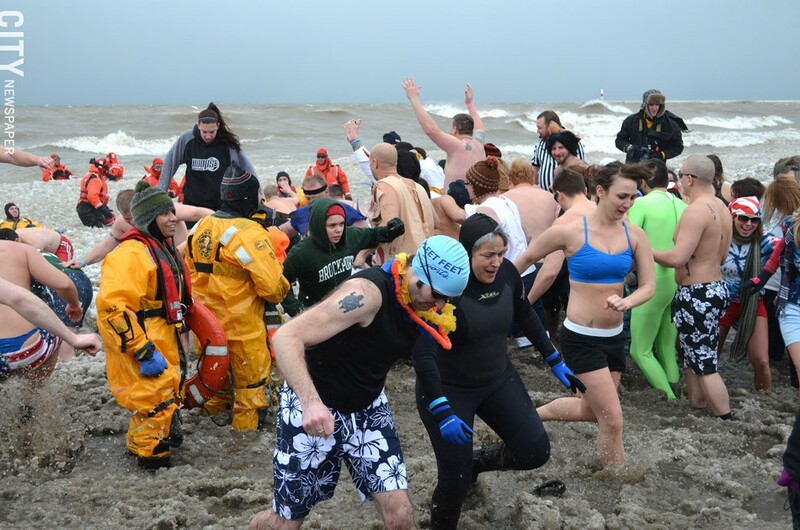 The 15th Annual Polar Bear Plunge is being held in conjunction with the 31st Lakeside Winter Celebration at Ontario Beach Park. Plunge to raise money for the Special Olympics, or if you just want to have fun, take part in numerous family fun activities like sleigh rides, ice sculpture contests, and even a chili cook-off to help fend off the cold. The 15th Annual Polar Bear Plunge takes place on Sunday, February 8, at 12 p.m. at Ontario Beach Park, 4799 Lake Avenue. There is a $60 fee to enter the water. The annual Lakeside Winter Celebration takes place Saturday, February 7, 1 p.m. to 6 p.m., and Sunday, February 8, 12 p.m. to 4 p.m., at Ontario Beach Park. polarplunge.net; cityofrochester.gov/wintercelebration. Jay Leno had an impressive run as the host of "The Tonight Show," but before his late-night takeover, he was known for his stand-up comedy. Leno is back to his roots with a stand-up tour, and fortunately for Rochesterians our city is one of the stops. Even if you always preferred a different late night host, it's impossible to deny that Leno's style of observational humor is downright hilarious, and with his background and experience, it's hard to think the show will be anything but great. Jay Leno will perform on Friday, February 13, at the Auditorium Theatre, 885 East Main Street. 8 p.m. $59-$128. rbtl.org. It can be argued that The Preservation Hall Jazz Band is one of the main reasons New Orleans style Jazz is still alive today, even though some of its founding members aren't. Greats like Alan Jaffe, the bands one-time director, have been replaced, but the personnel changes haven't taken away any of the magic. Not all of us will get to experience Mardi Gras in New Orleans, but seeing PHJB during Mardi Gras weekend is the next best thing. The Preservation Hall Jazz Band will perform on Friday, February 13, and Saturday, February 14, in Kodak Hall at Eastman Theatre, 60 Gibbs Street. 8 p.m. $16-$92. rpo.org; preservationhalljazzband.com. Ice Wine at Casa Larga. 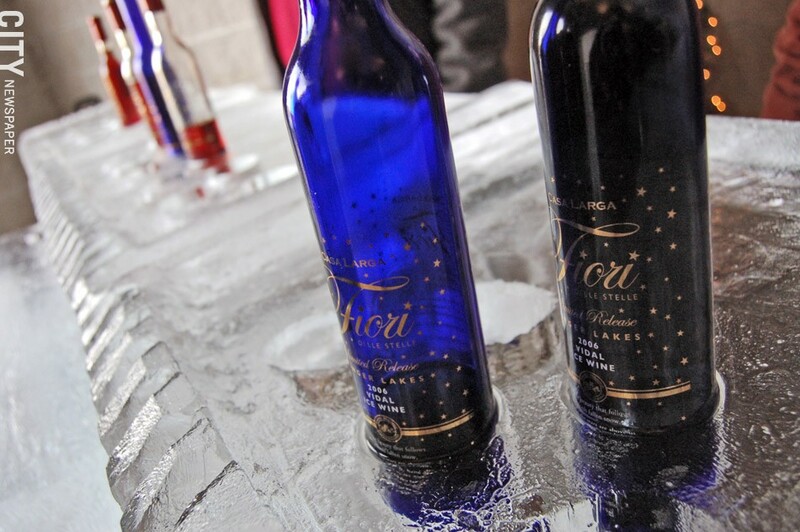 Whether you have the occasional glass of wine or consider yourself an enthusiast, you'll want to give the New York Ice Wine & Culinary Festival a shot. Ice wine is made from using grapes that were frozen while on the vine, resulting in a unique delicacy. The festival will feature wines all made at New York State vineyards. As if the wine weren't enough, there are also winery tours, local food tastings, live music, blackjack tables and more. Just be sure to be safe, especially when it comes to drinking and blackjack. The NY Ice Wine & Culinary Festival takes place on Saturday, February 14, at Casa Larga Vineyards, 2287 Turk Hill Road, Fairport. 11 a.m. to 6 p.m. casalarga.com. Organist Thomas Trotter has played in so many famous venues — Royal Albert Hall and Auckland Town Hall among them — and with so many famous orchestras, it's hard to think how Rochester landed him to play. But don't question it, just enjoy the fact he will be appearing here. Fans of classical music will not want to miss this organist. Thomas Trotter will perform at Third Presbyterian Church, 4 Meigs Street, on Sunday, February 15, 4 p.m. Donations of $5-$12 are suggested. rochesterago.org. Anyone who has ever listened to rock 'n' roll for some time has surely come across the legendary "Hot Rod Lincoln," with its twangy guitar sounds and catchy chorus. The man who pioneered the hit, Commander Cody — otherwise known as George Frayne — will be playing at the always-intimate Abilene. Playing for more than 40 years, the old Commander is still going strong, with numerous albums released in the last three years getting heaps of praise from fans and critics alike — all agree he's still got it. Let him prove it to you with his unique mix of country, rockabilly and blues. Commander Cody plays at Abilene Bar and Lounge, 153 Liberty Pole Way, on Sunday, March 1. Check Abilenebarandlounge.com for updates on ticket prices and show time. The performance art of traditional Japanese drumming, Taiko, is so popular there is a game based on it in arcades throughout Japan. (I actually played it last year; I failed miserably.) The Taiko drummers from world-renowned act Kodo could destroy that video game with ease. You don't just watch and hear Kodo, you feel it. This is a drum act that with an intensity which would make even Neil Peart's jaw drop, so if you're a lover of the percussive, put this on your list. Kodo will perform on Tuesday, March 3 at Kodak Hall at Eastman Theatre, 60 Gibbs Street. 7:30 p.m. $20-$85. esm.rochester.edu; Kodo.or.jp. 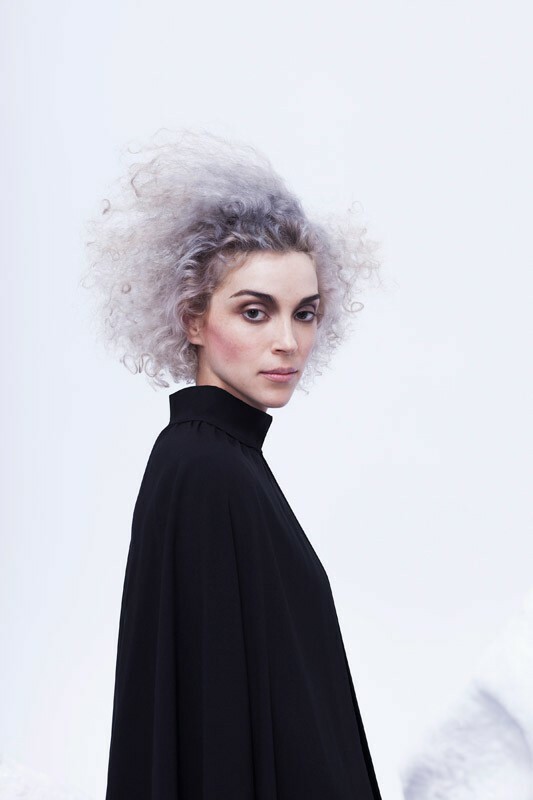 St. Vincent will make her return to Rochester at the Water Street Music Hall on March 5. Annie Clark — better known by her stage name, St. Vincent — has released four critically-acclaimed albums, with her self-titled 2014 effort gaining enough attention to get her nominated for a Grammy. St. Vincent operates with a slow burn style with strange, artsy backing music that sounds almost alien when compared to the norm. It doesn't take much listening to know that St. Vincent is in its own musical category. St. Vincent will perform on Thursday, March 5, at Water Street Music Hall, 204 North Water Street. 8 p.m. $25-$30. waterstreetmusic.com; ilovestvincent.com. Growing up in the great depression in an orphanage run by a crazy alcoholic lady? Sheesh! No wonder Little Orphan Annie's singing about a hard knock life. If you've seen "Annie" in movie form or went really nuts and read all the old comic strips, why not see it in play form? A recreation of the much-loved original, see the ever-optimistic orphan go from the orphanage to being adopted by Daddy Warbucks and managing her way through all sorts of shenanigans. "Annie" runs for eight shows from Tuesday, March 10, to Sunday, March 15, at the Auditorium Theatre, 885 East Main Street. $32.50-72.50. rbtl.org. EDM is one of those music genres you are either really into or you really don't like. For those who do like it, one of the premier DJ's in the American scene, Steve Aoki, is going to be in Rochester to take you on one of the most electric, energetic dance trips around. Aoki has won many awards in the EDM field, having been named DJ of the Year by Paper Magazine and recently being voted one of the top-10 DJs in the U.S. Don't miss this chance to get freaky with one of the best the game has to offer. Steve Aoki will perform on Wednesday, March 11, at the Main Street Armory, 900 East Main Street. 8 p.m. $30-$140. mainstreetarmory.com; steveaoki.com. DANCE | "A Night of Dance"
See pieces like Tchaikovsky's "Serenade for Strings" and Milhaud's "La Creation Du Monde," or "The Creation of the World," performed by dancers from Rochester City Ballet and FuturPointe Dance in Rochester Philharmonic Orchestra's "A Night of Dance." The performances will be accompanied by music from the RPO, with guest conducter Daniel Meyer leading them through the performance. Pianist Andrew Russo will also be featured in the show during "Tombeau de Liberace," a tribute to the great pianist and entertainer. "A Night of Dance" will take place Thursday, March 12, at 7:30 p.m., and Saturday, March 14, at 8 p.m. at the Kodak Hall at Eastman Theatre, 60 Gibbs Street. $16-$94. rpo.org. Martin Luther King Jr.'s name is synonymous with civil rights activism in America. Through his nonviolent means of protest, he played a giant role in helping to advance African-American rights. But his life ended in tragedy when he was assassinated. What was King's last day on earth like? "The Mountaintop" examines this in a powerful, straight shot play with no intermission. It was a huge hit on Broadway and in London, and won the Olivier Award for Best New Play. 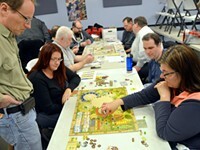 Take this unique opportunity to gain insight into King as a person and see what is sure to be an emotionally-charged affair. "The Mountaintop" runs Tuesday, March 31, through Sunday, April 26, at Geva Theatre Center, 75 Woodbury Boulevard. Check gevatheatre.org for pricing and show times. Now that we're past the holidays — and maybe you're still trying to stick to those New Year's resolutions — what is there to look forward to until spring? More snow? It's that time of year when we're all looking for warm indulgences to combat the winter cold. Thankfully, Rochester has no shortage of such offerings. 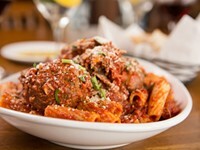 While the winter months brings the chills, these comforting dishes will warm the spirits. Comfort food means different things to different people, but there are some common denominators: As with my attachment to pizza at The Varsity (which I ate with alarming frequency while attending Syracuse University), there is usually a sentimental or nostalgic element to comfort food. It is often described as hearty or warming, both physiologically and emotionally — especially here in the northern latitudes. For me, the winter months have always been a time for hibernation, not exertion — I swear it's not lazy, it's just being sensible about surviving these long Rochester winters. All due respect to those participating in activities like the Polar Plunge, but I value my warmth and comfort a little too much to risk hypothermia. While many make the most of the short and chilly days by engaging in winter recreation, frolicking in the freezing snow isn't everyone's cup of tea. But hibernating with Netflix can get a bit depressing.